This doorstop would be a really practical yet fun gift idea. 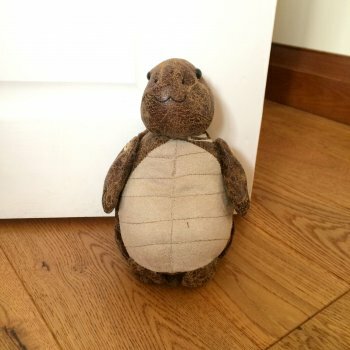 The tortoise doorstop is made from suede and faux leather in a brown and beige colour combination meaning it will go with just about any decor. The doorstop has been weighted with sand meaning it will keep up any door!